Michael Paine of Sebastopol was a civil libertarian and retired aeronautical engineer who, while living outside of Dallas in 1963, engaged in occasional political discussions with a self-identified Marxist named Lee Harvey Oswald. 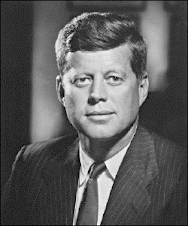 When Paine heard of the assassination of President John F. Kennedy, he thought immediately of Oswald “but dismissed him because I didn’t think he was that irrational,” Paine later told an interviewer. “I saw he was a bitter person … very little charity in his view toward anybody, but I thought he was harmless,” he told the commission. Through much of the 55 years since JFK’s murder, some conspiracy narratives have alleged that both Paine and his former wife, Santa Rosa resident Ruth Paine, were CIA operatives and framed Oswald. 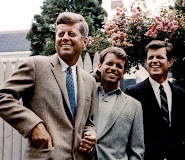 Both rejected the scenario as ridiculous, declaring that their observations and knowledge of Oswald persuaded them that the killing of Kennedy was the work of him alone. Paine died March 1 in Sebastopol, where he had lived with or near his son the past 14 years. He was 89. He was born in New York City on June 25, 1928, to architect and left-wing activist G. Lyman Paine and Ruth Forbes Young, founder of the International Peace Academy. Michael Paine studied at Harvard and Swarthmore and was living in Pennsylvania when, in 1957, he married Ruth Avery Hyde. Two years later, Michael Paine took a job with Bell Helicopter that required a relocation to Texas. The couple settled in Irving, a suburb of Dallas. They had two children, Tamarin and Chris, when they separated amicably in the fall of 1962, then continued to spend time together as a family. The children lived with Ruth Paine, a Quaker who has said she studied the Russian language in order to counter Cold War tensions by seeking out dialogue with Russian people. In February 1963, she heard of a Russian woman who spoke no English, having recently moved to the U.S. with her young daughter and her husband, Lee Harvey Oswald. Ruth, now a retired teacher and school counselor living in Rincon Valley, has said she liked the idea of having someone with whom to practice her Russian. So she reached out to the Oswalds. 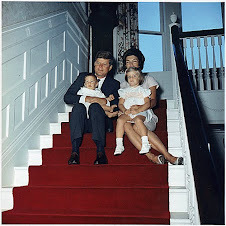 She invited her ex-husband, too, when she had 21-year-old Marina and Lee Oswald, 23, and baby June over for dinner. Ruth and Marina became friends. That friendship on occasion brought Michael Paine and Lee Oswald together, and three or four times they engaged in political discussions. Paine, a liberal and longtime member of the American Civil Liberties Union, would later describe Oswald as a “pipsqueak,” but one whose politics he tried to understand. “He told me he became a Marxist in this country by reading books and without having ever having met a communist,” Paine said in an interview following the assassination. In interviews and in testimony before the Warren Commission, Paine described Oswald as a lonely man who seemed to like very few people. 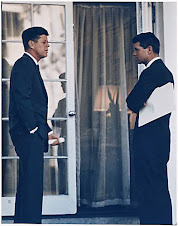 But in their conversations Oswald never revealed hostility toward Kennedy. “I expressed my appreciation of President Kennedy and he didn’t ever argue with me on that point,” Paine said in an interview. Though Michael Paine remained no more than an acquaintance to the Oswalds, Ruth took Marina Oswald under her wing and tried to be helpful to her struggling family. Oswald was hired. He rented a room near the job. In late September, Marina accepted an invitation by Ruth to live with her and her children in Irving, about a 20-minute drive from Dallas. Ruth Paine allowed the Oswalds to store most of their belongings in her garage. For weeks while working at the book depository, Lee Oswald, who had no car or drivers license, hitched a ride to Ruth’s house after work on Fridays, then spent the weekend there with his family. It surprised Ruth Paine when Oswald appeared at her home unannounced on a Thursday — Nov. 21, 1963. Later that night, she walked into the garage and found the light was on, causing her to wonder who’d been in there. When she arose the next morning, Lee Oswald was already up and gone. He’d left a coffee cup in the kitchen sink. At 12:30 that afternoon, gunshots killed JFK as he sat beside his wife, Jacqueline, in the back of a Lincoln Continental convertible just after the presidential motorcade passed by the book depository. It would soon dawn on the Paines that Lee Harvey Oswald had hidden his scoped, bolt-action rifle in Ruth’s garage. In the 9,400-word “My Experience with Lee Harvey Oswald,” Michael Paine wrote that he believed the assassin acted alone and decided only shortly before Nov. 22, 1963, to do something that would make himself infamous. Both of the Paines testified before the Warren Commission in 1964, Ruth more extensively because of her nearly yearlong friendship with Marina Oswald and her many encounters with Marina’s controlling husband. In time, the Paines both left Texas. Michael Paine lived and worked in Concord, Massachusetts, and was active in coastal conservation and supported Planned Parenthood and the ACLU. He moved to Sonoma County in 2004. He and his son, Chris Panym, founded near Sebastopol a “multi-household, multi-age, multi-enterprise community” they called Green Valley Village. They were unable to bring it to fruition. Chris Panym said that as his father approached aged 90 he lost his memory but all his life was committed to championing the environment and civil liberty. In addition to his son in Sebastopol and his former wife in Santa Rosa, Paine is survived by his daughter, Tamarin Laurel-Paine of Middlefield, Massachusetts. 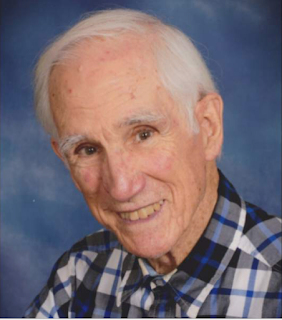 There will be a memorial service at 1 p.m. on April 14 in the library at Friends House in Rincon Valley. Panym asks people interested in attending to RSVP to him at 707-861-1169. Editor’s note: This version of the story corrects an error on the make of the car in which the Kennedy’s rode in Dallas.